The RSF Social Impact Fellowship is missioned with growing the field of social finance, one cohort of thought leaders at a time. During their time at RSF, fellows work closely with the lending team to identify prospective borrowers, conduct due diligence, and structure loans. In this blog post, Stu Fram, lending associate, catches up with Nakul Kadaba (2014-’15) about his experience in the program, and his thoughts on the future of social finance. What made you consider applying for the RSF Social Impact Fellowship? What about this experience called to you? Nakul Kadaba: I’ve been involved in the social finance field for a number of years, and this was a good way to actually get a sense of what was happening in the space in the U.S. Beforehand, I worked in international development, mainly doing structuring and equity-debt financing. When I was applying to the fellowship, I was constructing micro-enterprises with social elements, managed and owed by people in low-income communities. I noticed from your biography that you’re very interested in poverty alleviation. What drives you to work in that arena? Kadaba: I saw poverty first-hand in India when I was young, and therefore was exposed to its nuances quickly. So working in poverty alleviation was a natural progression. With the language and computer skills I had, along with my knowledge of international economics, it was easy for me to step into poverty alleviation, which slowly also began to encompass social finance. What’s one memory that comes to mind when you think of your time as a fellow? Kadaba: One particular experience of talking to a prospective client really sticks out. This social enterprise was well developed, and in the mid-range in terms of annual revenue that RSF looks for. A lot of the time during introductory calls, a loan request can immediately become a “no,” and it’s up to the fellows to find the “maybes.” This organization was probably the first absolute “yes” that I found, which made the subsequent conversations incredibly exciting. Editor’s note: RSF is currently working with the social enterprise screened by Nakul on a financial package. What was so exciting about the conversations? Well into the fellowship, we had done enough calls with the lending team to understand there will be some great success moments, and there will be some moments that are going to require a little bit more effort on the part of the fellows. This was a success moment. What surprised you about RSF’s loan review process? Kadaba: I think what surprised me was how much of a balance the lending team was able to put between the social and the financial aspects of potential borrowers. Sometimes it gets really difficult. A lot of people in the social finance field are sometimes overly numbers-focused in deciding whether a social enterprise is a sound investment. On the other hand, you also have funders that concentrate entirely on social mission, even if the balance sheet looks just okay. I think the RSF lending team really does its due-diligence. What is the enterprise doing? Do they have a solid social mission? Are they creating a community? All questions asked by the lending team. The financial statements, by the time you get to that step in the process, have been looked over a thousand times by ten different people—so you know that’s good. They try to strike a balance, and it’s a lot tougher than people say it is. What concerns you about the financial system today? Kadaba: I think there’s a problem in the perceived notion that social enterprises can only change so much because they are “locked down by their social mission.” What I really liked about RSF is that you listen to these organizations and, rather than succumb to those perceptions, you challenge that limited viewpoint. So here’s the ten-million dollar question: what do you see in the future of social finance? Kadaba: I see the field rapidly developing, and expect the international and domestic sides to grow closer together. There are currently a lot of differences that exist with doing social finance in different countries versus only doing it in one. I think that will get more standardized once people figure out all the legal and logistical quagmires. I also suspect that the networks talking about social enterprises will consolidate more in the next ten years. I was really fortunate to go to a couple of meetings hosted by different networks based all over the US, and you can tell the field is consolidating into a community of practice, with practitioners exchanging valuable information to and from each other. As a result, I expect there’s going to be a lot more knowledge flowing between groups and people. 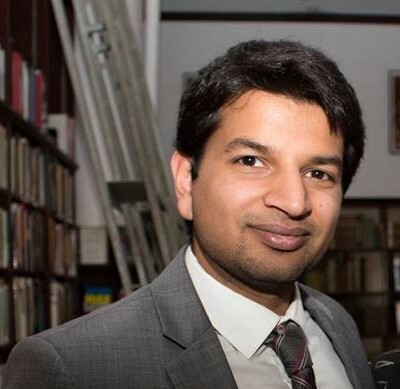 Nakul Kadaba holds a Master’s in Public Administration from George Mason University and a Bachelor’s degree from The College of William and Mary. He is based in Cambridge, Massachusetts. RSF Social Finance Winter Quarterly: What is the Nature in Art? How are You Transforming the Way Your Community Works with Money?